My Mount Rushmore, a Coaching Ephiphany, and That Nun. His journey eventually led to the launch of a successful weekly blog, where he shared what he discovered—his musings—about the art of being a good teammate every Tuesday morning. This book is a compilation of the entire first year of that blog. 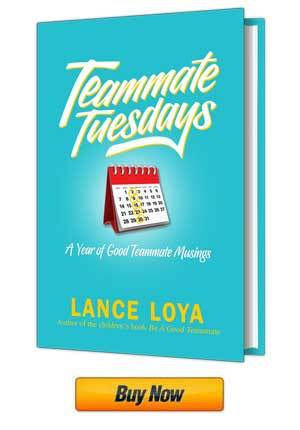 In Teammate Tuesdays, you’ll gain invaluable insight into the good teammate mindset. It will inspire you to want to be a better teammate and equip you to help individuals on your team do the same. Everybody is part of a team in some capacity, so why not make the effort to be a good teammate?